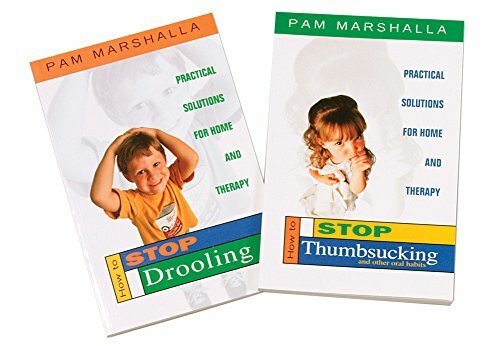 How to Stop Thumbsucking, Pam Marshalla Full of easy-to-understand solutions that have helped thousands of children stop or reduce problematic thumbsucking. Provides eleven principles for change, organizes successful therapy activities, and lists resources. 80 pages, softcover.How to Stop Drooling, Pam Marshalla provides the speech therapy and dryness techniques of building oral awareness, fundamental swallowing techniques, lip exercises, guidelines for motivation and habituation, and common questions asked by parents. 64 pages, softcover.Not sold separately.